Our Catering Service is designed to accommodate special events, transforming any site into a fabulous venue! 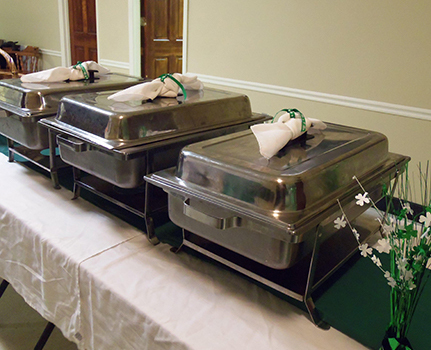 We cater parties, dinners, banquets, breakfasts, BBQs, picnics, board meetings, and much more. We offer both cold and hot meals, customized to meet your specific needs. An Account Manager will be assigned to your event, working with you to help design the perfect set up. You Account Manager is also on-call during the event, if you should need them. We also provide off-site catering services, for such events as sales meetings, conferences, etc.